The term has started really well! All children have been designated a table to sit at and their names continue to be displayed on the tables, along with our Lunchtime Charter and Table Captain roles. The new Reception children have started to have lunch this week and the systems we have in place make it so easy for them to settle in. We love our dining room! Paul Aagaard from Recipe for Change visited our school again to have lunch with the children and chat with our school cook and Supervisors. 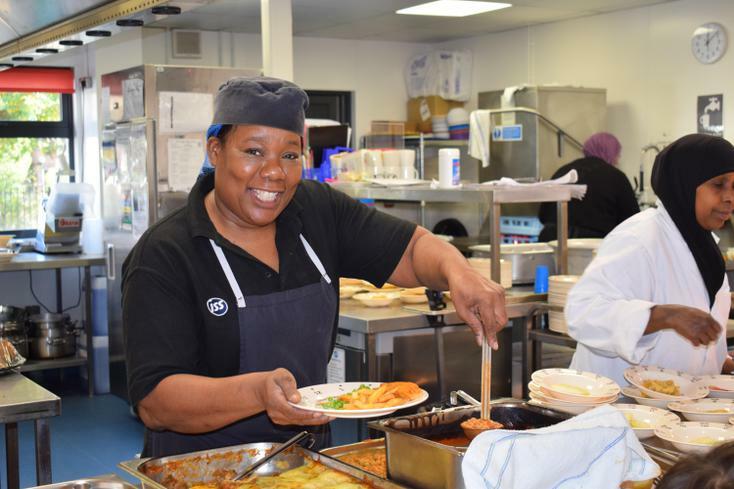 Our restaurant style dining service, which we introduced at the end of October last year, is going extremely well. Paul was hugely impressed with the way Table Captains, particularly Year 6’s wiped and sprayed tables and cleared away dirty plates and bowls. Our school cook, Diane, puts a basket full of freshly baked bread on each table every day (brown and white bread) so children can start eating as soon as they arrive in the dining room. This is one of many things we have done to help create a calm and relaxed environment. Lunchtime used to be such a hot spot for us. Now it’s like the heart of our school where children are caring, supportive and inclusive. 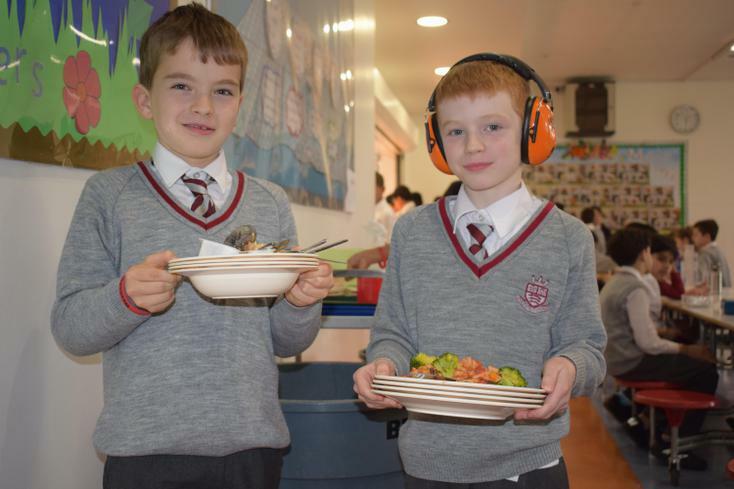 Lunchtimes continue to evolve here at West Lodge. 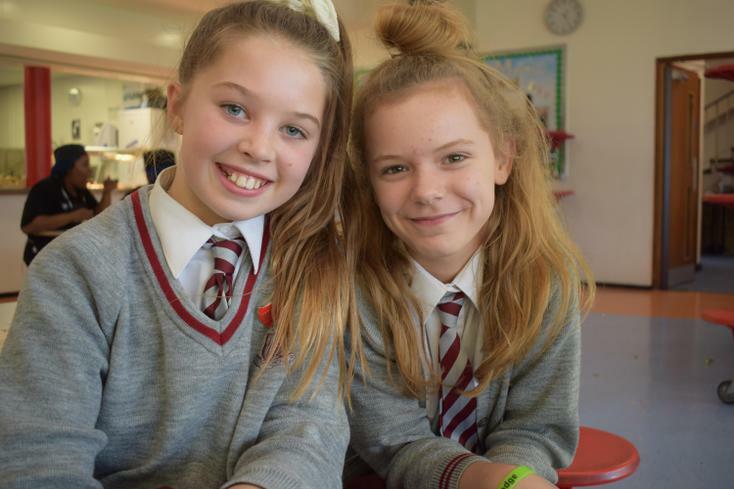 Since launch day on the 31st October, children have been embracing their new lunchtime routines and systems. We have a new lunchtime timetable which allows for all children to have plenty of time to eat and play, and also allows for a calmer experience in the dining hall. Paul, Recipe for Change’s Director, visited the school today to do some filming of service and interview staff, the catering team and the children. There will be a link to the film below, once it is available. We are really excited to be launching our new dining room on Tuesday 31st October. We continue to work with Paul Aagaard from Recipe for Change (www.recipeforchange.co.uk) to change the lunchtime routines. 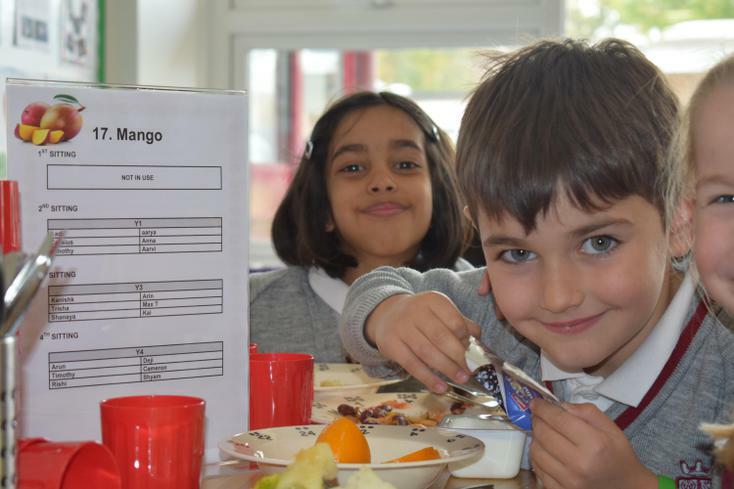 We aim to make eating a more sociable, calm and enjoyable experience for all children. We have introduced a new seating plan and have named all the tables after fruit and vegetables. We have also totally eliminated queuing from the dining hall, and have assigned each child to a specific table (these tables will change half termly). We hope that this will help to make lunchtime run really smoothly, and will encourage children to converse with children on their table. 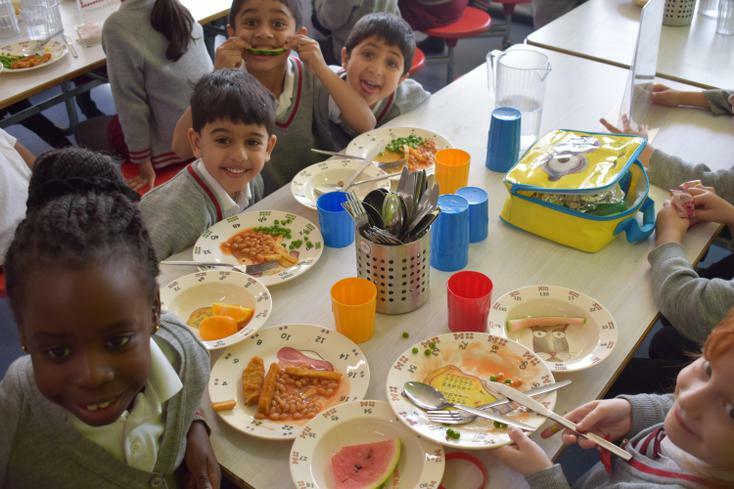 We are particularly excited, as this will mean that children who have packed lunch will be able to sit with the children who are having school dinners. This means that all children will have access to the dining hall and will be able to eat lunch in the same space, with their year group. We will keep you posted once the launch day has taken place.